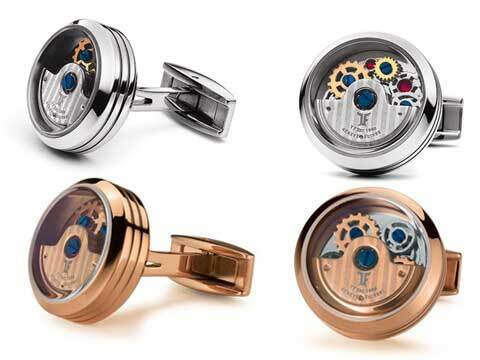 “Casino: Roulette” model cufflinks in shiny stainless steel with a brown wooden look. 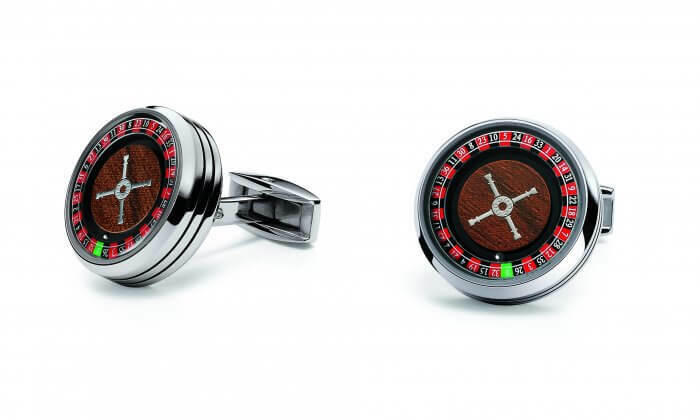 “Casino: Roulette” model cufflinks in shiny stainless steel with a green carpet look. “Casino: Roulette” model cufflinks in shiny stainless steel with a mother of pearl look.